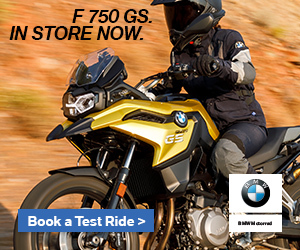 I recently had the chance to put the Shoei Hornet ADV helmet through its paces during our four day BMW R 1250 GS launch ride, which provided the perfect opportunity to test this helmet in just the type of conditions it was designed for. The first thing you notice with this helmet is the high level of finish and the premium feel when you pull it on for the first time. 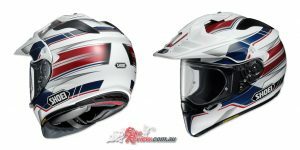 The liner is extremely comfortable, and all the components, from the shell to the visor, and even the fasteners are all top quality. 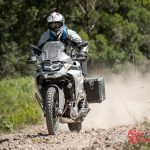 Shoei have really considered the needs of adventure riders with their design and provided a helmet that is capable of being adjusted for all conditions, on and off road. On the scales it’s a little heavier than I’d normally like for off road riding, however in practice I never actually noticed this weight while riding. The eye port allows fitment of goggles, even with the visor still attached, so you can quickly swap between the two for changing conditions. 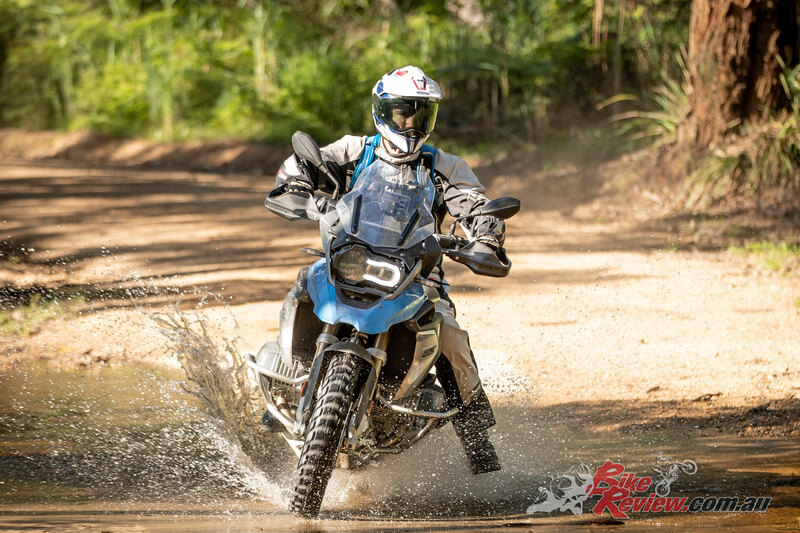 I tried both goggles and visor in the dirt sections of our ride and ended up using a medium tint visor almost the entire ride, as it worked really well, and was more comfortable and less hassle. The visor is also Pinlock-ready with insert included, which along with the included breath guard keeps fogging to a minimum. You may want to use goggles in extremely dusty or muddy conditions though, if for no other reason than to prevent the visor from being scratched from repeated cleaning, as a lense for your goggles is much cheaper to replace once it’s worn out. 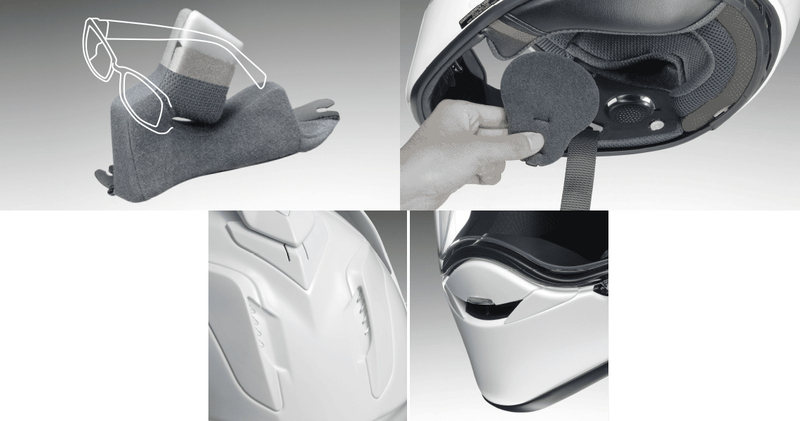 If you do need to change visors, or want to remove it for safekeeping while using goggles, then the Shoei release and attach system is very quick and easy to use. It took me a couple of goes to master the technique, however once I got the hang of it was one of the most efficient systems I’ve come across. Equally quick and easy to remove and install is the V-460 peak, which uses only two quarter turn fasteners to attach it. 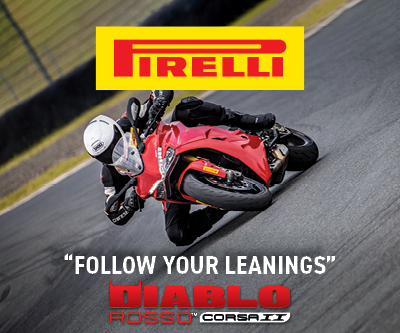 This is especially handy if you have any long bitumen sections on your journey, as while Shoei have done a great job of minimising lift and drag with their latest design, it still does put strain on your neck using a peaked helmet at highway speeds, especially if there is a significant cross wind. If I’m riding in these type of conditions then it’s great to be able to remove the peak in literally 10 seconds, which dramatically improves comfort and reduces fatigue. 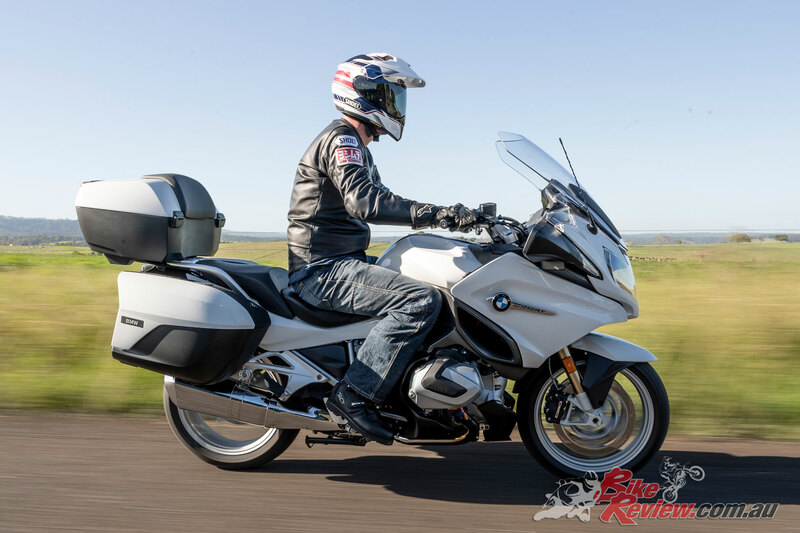 The ventilation system and aerodynamic design does a great job of providing plenty of airflow for hot off-road conditions, while keeping wind noise to a minimum at speed. 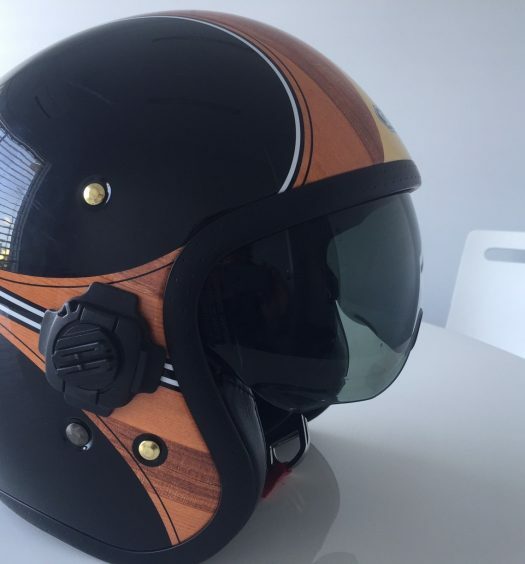 The liner is fully removable and washable and incorporates Shoei’s E.Q.R.S Emergency Quick Release System, which allows removing of the helmet after a crash whilst placing minimal load on the riders neck. My only real gripe with this helmet was that the shell opening was a bit too tight when I was taking it on and off. I’m a size small, which is the biggest liner size used in the small shell size. While I found this size fitted my head perfectly once I was wearing it, pulling the helmet on and off took more force than it should. It’s not something I noticed immediately, however I found my ears and temples got quite tender after four straight days of use. It could be a significant issue for certain head sizes/shapes if you are doing a lot of long distance riding where you are removing your helmet frequently, and I’d suggest maybe Shoei need to address this by using their medium shell size with thicker padding to provide a better compromise of fit with their size small helmet in this range. It’s not something I’ve ever encountered in a Shoei helmet before, and won’t be an issue for most people (Jeff wears a size L Hornet and has no issues in this regard), but definitely worth spending some extra time pulling the helmet on and off a few times when checking fit in the shop. 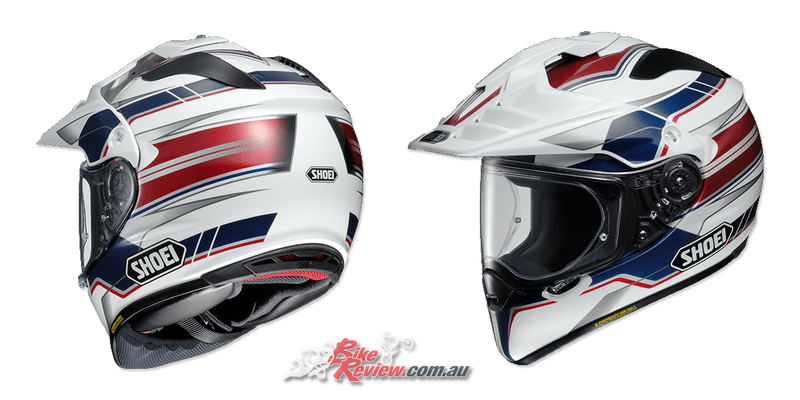 Overall I found the Shoei Hornet ADV Navigate to be an extremely high quality helmet, which is comfortable, functional, and readily adaptable to all types of terrain and conditions an adventure rider is likely to encounter, and more than justifies it’s premium price point. 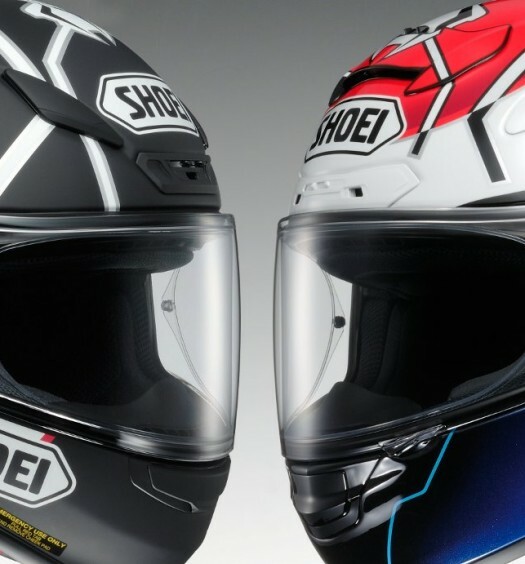 Check your local Shoei stockist for more information, or the McLeod Accessories website – www.mcleodaccessories.com.au for the full Shoei catalogue. 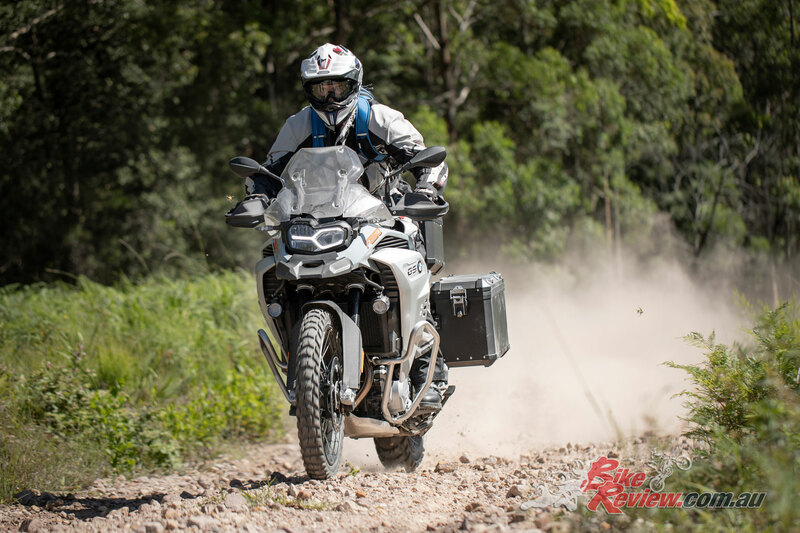 Heath Griffin is an A Grade ASBK Superbike Racer and lifetime motorcyclist that enjoys Road Racing, Adventure and MX Riding. 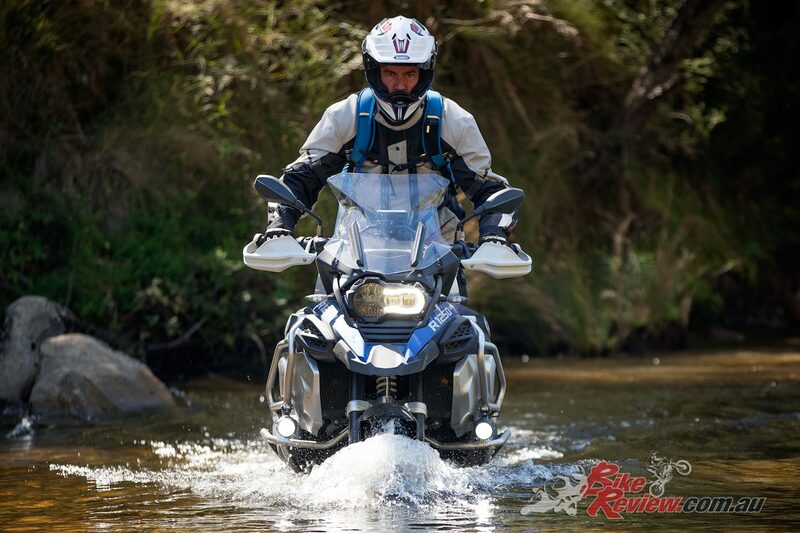 Heath has contributed to Rapid Bikes, Knee Down, Retrobike and BikeReview.com.au as a test rider and technical writer.